Tic Tac Toe with Babe the Blue Ox is back after a brief visit to the repair shop! Find EVENTS near the Paul Bunyan Trail! For more information about: Brainerd Lakes Area Vacations. 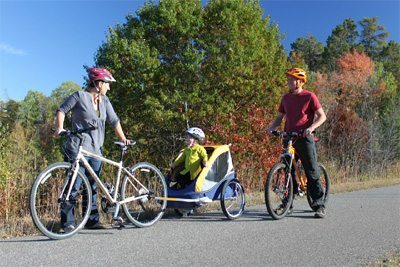 Bike, Hike, Snowmobile, and other Paul Bunyan Trail Recreation Activities. Geocache on the Paul Bunyan Trail. “We go snowmobiling on the Paul Bunyan Trail EVERY year!! We love it! 11/12/2012 Email from Melissa L.
Stop in Hackensack, MN during your Paul Bunyan Trail adventure for the chance to “meet” Paul Bunyan’s Girlfriend Lucette! Book Paul Bunyan Trail Hotels Today! The terrain of the Paul Bunyan Trail ranges from flat and open to hilly and scenic for any level of bike rider. 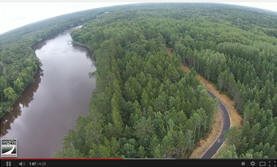 See for yourself with our detailed bike trail maps! Along the 120 miles of the trail there are many areas to stop and rest and enjoy the beauty of nature in Northern Minnesota. If you’re traveling light or want to give a new bike a try, The Brainerd Lakes Area offers bike rentals and a Paul Bunyan Trail Shuttle Service to get you and your bike where you need to go! While biking is the main event, don’t forget that the Paul Bunyan Trail is open year-round with loads of other recreational activities available. The Paul Bunyan Bike Trails offer so much more than just beautiful scenery and paved trails, and in many of the connecting towns you will find bike-in camping, picnic areas, and rest shelters. Video courtesy of Galen Erickson – New Horizon Productions Inc. The Chippewa National Park in Walker, MN which boasts 21 campgrounds and 1,300 Minnesota Lakes and streams, can now be called home to the newest Paul Bunyan Trail official section; the Shingobee Trail. Here you’ll find an illustrated story of the Paul Bunyan Tall Tale and all the other characters you knew when you were a kid. Looking for lodging on or near the Paul Bunyan Trail? Look no further. From cozy B & B’s to rugged outdoors camping, we’ve got you covered. With over 120 paved miles on the Paul Bunyan Trail, you could use a map! With seven segments maps and over 14 individual city maps and descriptions, we’ll keep you on trail…I mean track! 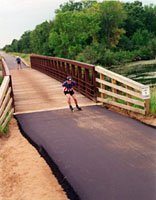 Plan your next MN biking vacation with our bike trail maps of the MN bike trails in the Brainerd Lakes area. From history making ceremonies, to news and events, the Paul Bunyan Trail Highlights will keep you in the know. Take a break and have a little fun with our interactive Tic-Tac-Toe with Babe the Blue Ox. It’s not just for kids! In this area you’ll find a graph showing the distances between all the cities on the Paul Bunyan Trail. Use this helpful tool to plan your next Paul Bunyan Trail Vacation. The Paul Bunyan Trail has a reach of over 14 trailside towns and cities in Northern MN. Plan for rest stops, camping, tourism fun and more with our detailed Trail Towns info! The Paul Bunyan Trail has many vacation options including vacation resorts, hotels, motels, condos and cabin rentals. Have a question? Find your Minnesota vacation answers here. You’ve visited so many times and now you just want to stay! Check out our Brainerd Real Estate page for listings near the famous Paul Bunyan Trail. The trails may host thousands of bikers each spring, summer and fall, but it’s the sleds that dominate in the winter! Grab your snowmobile and find out everything you need to know about Minnesota Snowmobiling on the Paul Bunyan Trail. You may also visit brainerd.com for snowmobiling information like trail clubs, grooming, snow conditions and lots more.